The Airbus A380 started moving as soon as the door was closed, before the cars in the motorcade even had time to get fully clear of the massive thrust of the engines. The pilot, a colonel in the French air force, slammed the engines into full throttle to execute what was called a hard take-off, the plane getting into the air quickly and immediately into a sharp incline to gain as much height as possible. A number of Elysee officials who had been busy securing the president of the French Republic before getting back to their seats were knocked off their feet by the angle, both being grabbed by burly bodyguards and pulled into seats as the plane reached its cruising height. The military cabin crew, briefed as to the situation, had immediately lowered all the blinds on the windows, so that the passengers on-board could not see the military airbase and Paris speed away into the distance. It actually meant they would not be blinded by the detonation of a nuclear warhead over the French capital as was one possibility they were expecting at this very moment. 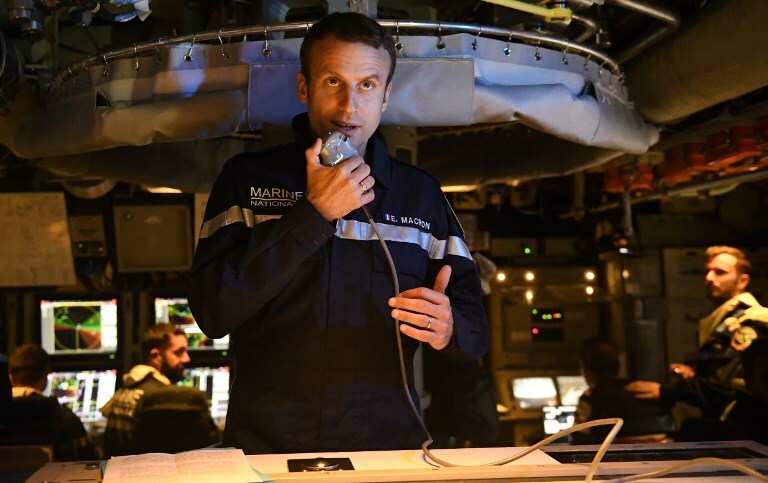 Nor could they see the four heavily fuelled and armed Rafale fighters escorting the plane on its pre-planned flight plan, designed to avoid major urban areas and military targets (for spotting purposes and also because they were likely nuclear targets) and take the plane out over the Atlantic. Why America needs President Jay Pritchett. Fans of the hugely successful ABC sitcom “Modern Family” will be no strangers to family patriarch Jay Pritchett. Jay is your All-American red-blooded male. He likes sports, beer, movies where women are called dames, and is a successful and wealthy businessman. He’s a pretty traditional guy. You could well believe he voted for Trump. Except, well, here’s the thing about Jay Pritchett. His wife is Columbian, as is his stepson. His son is gay, and married. His daughter is married to A Modern Man in touch with his feelings. Has all this made him a liberal? Not really. But it has made him very tolerant. He rolls his eyes at his wife’s culture and his son’s gay lifestyle. But he doesn’t judge them, doesn’t interfere, just leaves them alone and hopes they leave him alone with one of his war books. Nor is he rigidly opposed to change: he tried to learn Spanish to make his wife less self-conscious about her accent, and was a big hit with his son’s gay friends. He is, in short, an old fashioned moderate Republican. He does roll his eyes at gay marriage and the rest but he doesn’t oppose them. They’re not for him, but he doesn’t care what some other guy does. That’s his business. 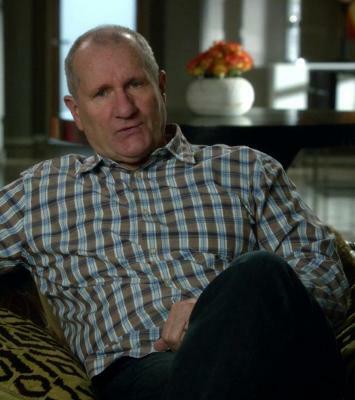 Jay Pritchett is the bridge that could heal America. Comfortable with the beer and bbq working joes, respectful of non-traditional lifestyles. eNovella: A Little Piece of Europe. The very near future. Welcome to the European Union Safezone in North Africa. 2 million refugees trying to make a life in a city-state on the edge of Europe. For the disgraced former British prime minister and his Irish deputy put in charge of running it, a chance at redemption. For the refugee Syrian businessman, it’s a chance at a new life for his family. For the young Somali woman fleeing terror, it’s a chance to perhaps no longer be afraid. Now available as an eBook on Amazon here. Imagine…an EU refugee safezone in North Africa. 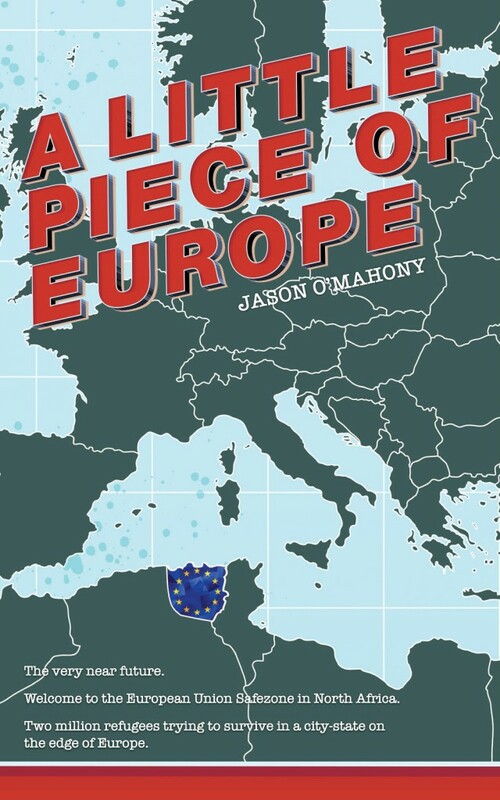 Last year I wrote a short novella, “A Little Piece of Europe”, about an EU safezone for refugees. Why fiction? Why this subject? Because I’m convinced that the immigration crisis is a grave threat to the stability and indeed existence of the European Union. It is causing huge internal tensions, pitting European nations against each other, and is being manipulated by external powers that want a disunited Europe. It is also providing fuel to various strands of neo-nazi, both within and outside electoral politics. Finally, there is a moral question: if Europe is not obliged to do something about dead children on our beaches, then we have learned nothing from our history. The more I looked at the issue, the more I became convinced that an offshore solution is the right one. Why? First, because Europe must be able to control its borders and who crosses them. Ordinary Europeans expect this and if the centre-right and centre-left can’t do this, they will elect extremists to do it with violence and brutality. Secondly, an offshore facility will allow us to provide security, safety, and a place to process and screen refugees according to our values. Finally, let me stress, I’m not talking about some sort of Australian-style prison camp. I’m talking about a functioning city run by the EU to a standard that will allow refugees to build a life there, whilst slowly absorbing into the EU proper a controlled number of pre-screened applicants. Why fiction? Because the more I looked at the issue and thought about it, the more questions arose. How would it work? Who would fund it? What problems would it encounter? The more issues that arose, the more I concluded that it was a concept best communicated within a story. So that’s what I did. Told a story. This is a work of fiction, and so there is dramatic licence. But the core concept is in there, in detail. The left are now the status quo conservatives. In 1963 Harold Wilson, then leader of the British Labour Party, made a famous speech where he contrasted the then governing Tories with Labour. He painted the government as a party of the past, and described a future Labour government shaping Britain in the “white heat” of a scientific and technological revolution. Wilson would later write about replacing the cloth cap with the laboratory coat as the uniform of the British working class. 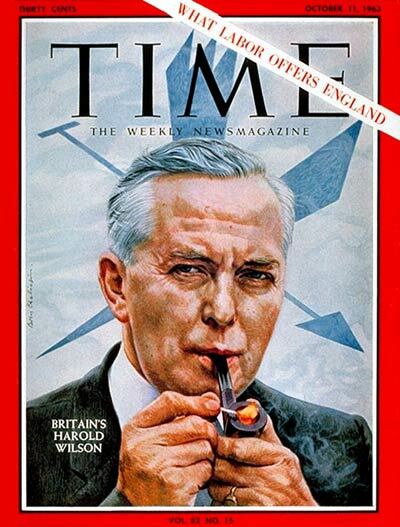 As with many things about Harold Wilson, the hyperbole struggled to match the reality of him in government. But what was interesting was the fact that Labour, as in 1945, was the party of new ideas. The left stood for change, the right the party of the rotten status quo. Across Europe, with the SPD in Germany in the 1960s, or Mitterand’s election to the French presidency in 1981, the left were the parties of progress. What’s striking today is how, from Ireland through the UK to France and elsewhere, the left are now the party of resistance to logical change. Consider the attitude across Europe of left parties to raising the retirement age. Almost universally there is opposition, early retirement now seen as a totem that must be protected. This despite the fact that the current retirement band, from 50 to 65, takes no account of the increase in life expectancy. It’s not impossible now for someone who takes early retirement at 50 to live beyond 100 and therefore have spent most of their life retired. That’s not to say there aren’t good reasons for early retirement. Brickies, firefighters and miners all lead working lives which could leave them physically in rag order in a way many office workers will never be. There have to be exceptions. But what’s striking is the refusal of many on the left to confront the reality. That being 65 now is not the same as being 65 in our grandfathers’ time. Many of the parties of the left, who actively demand more public spending, then refuse to support pension reform which is needed to generate the very revenue required to fund the spending they call for. It’s almost impossible to find a party of the left in Europe that has any new ideas about how to manage change. Instead, opposition to free trade, Uber and flexible employment laws is in danger of becoming the standard response, not because they think this will make things better but because they literally have no other ideas. The left has now become the party of the blacksmith, the gas-lamp lighter, the town crier and the guy who walks in front of cars with a red flag. What’s most depressing is that now more than ever we need a strong left. Technological change is about to bring a huge challenge to the amount of adequately paid work available compared to the pool of jobseekers. Maybe public works programmes, or a universal basic income will be necessary. But from where I’m sitting, it looks like the left, paralysed by a dirth of new ideas and a Corbynist paranoia of betrayal towards those who do confront the old sacred cows isn’t up to it. The refusal of the left to consider the inconsiderable could end up strangling the left through simple atrophy. In the UK and France the traditional left is running on the usual “free stuff” platforms and still losing elections. Because they’re just not credible. Take the minimum wage. It’s not inconceivable that if a country were to introduce a universal basic income, it could make sense to then abolish the minimum wage to allow for the creation of the flexible “gig economy” type jobs that would top up UBI. But can anyone imagine the current left even countenancing that on principle? Even if the evidence emerged that it created more opportunities in a rapidly-automating economy with a labour surplus? To even consider it would lead to denunciations of being a political Judas. The problem with the European left is that it has gone from being a dynamic flexible force for change into a rigid defender of status quos and fetishes. It does not see the modern world and globalisation as a force to be harnessed and managed but something to be feared and hidden from, behind borders and tariff barriers. Even though these are very old ideas that barely worked in their day and simply don’t apply in an age where many products have no actual physical form. There has got to be something learned from the fact that the left have actually gone backwards during the greatest crisis of capitalism in living history. Having said that, there is a model for the modern left. Consider that the welfare state in both Ireland and Canada was not built as much by the left as the pragmatic centre and centre-right. Despite hysterical finger-pointing by the left, Theresa May, who is not seen as an extremist outside of Corbynista Labour, has that potential too. To make the Tories the British Fianna Fail, a party that trims and bends between aspiration on one side and support for social welfare on the other. Outrageous to suggest that? Perhaps. But remember: it’s the voters who decide where the mainstream is. Hollande: proof that playing it safe is sometimes the most dangerous thing to do. President Francois Hollande is leaving office with approval ratings that would make Fred West distance himself. Why is he so unpopular? What terrible thing did he do? Well, alright, he did that thing that every sane Frenchman must know is lethal. It wasn’t having a mistress that was the problem. Sure, that’s to French politics what having a favourite piece of scripture is to US politics. No, he humiliated his partner in the process, and that is the political equivalent of sticking a fork in a toaster. 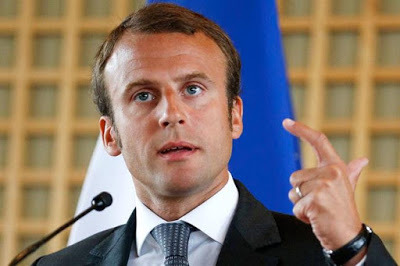 Even so, he could probably have weathered even that if he’d been actually successful as president, and addressed the economic malaise and self-doubt that that has gripped the French for the last fifteen years. It wasn’t that he did something bad. It was that he, like Sarkozy and Chirac before him, was terrified of doing anything. He simply refused to make bold but unpopular decisions until it was too late. As he packs his boxes over the weekend it must have occurred to him that trying to avoid being unpopular does not automatically make one popular. It makes one look weak, and that’s never popular. Unlike Blair or Merkel or even George W. Bush who will find their legacies debated for decades, Hollande will be the forgotten president. Not even a quietly competent unshowy John Major type. Just forgotten. That’s not an achievement. Supposing he had attempted to push through big and radical economic changes, as Gerhard Schroeder had in Germany. Would it have saved his presidency? Possibly not. But Schroeder didn’t leave office a failure. Merkel only bested Schroeder’s SPD in 2005 by a single percentage point, despite his government inflicting radical and painful welfare reforms. He left with a legacy, and that matters. Germany’s prosperity today can be traced in part back to Schroeder’s courage in office. 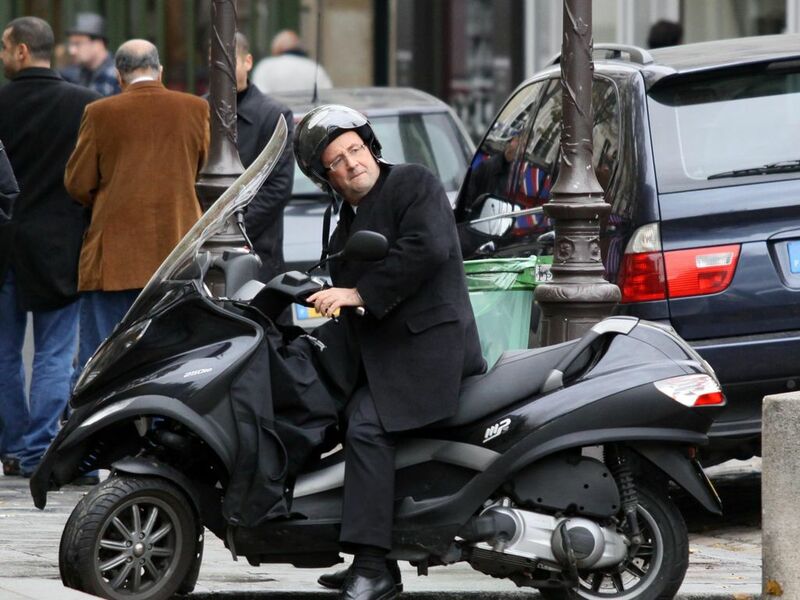 Hollande’s legacy will be the image of him on a scooter visiting his mistress, looking like a randy Snoopy. *Assuming he wins. I don’t take that for granted at all. Thank you for the honour you have bestowed on me tonight. This has been an extraordinary election, and has one clear message that has come through tonight from virtually every voter, regardless of whom they voted for. I am acutely aware that many of you, of right, centre and left did not as much give me your votes as lend them to me. I understand that. I will not forget that. It is, as I said, a precious honour that I will treasure with humility. Our nation faces huge challenges, from the maintaining of economic dignity of our people, to our security from extremists, to our place in the world. Change is coming at a speed never witnessed before in living memory. The challenges of technological change, of migration, of climate change are all titanic. Yet this is not a nation of weakness. We are not a people with nothing to offer. We live in the most beautiful country in the world. We produce the greatest food. We build the greatest airliners. Our culture from our language to our movies to our art to our fashion to our literature are those of a superpower. We put nuclear aircraft carriers to sea. Our fighters bomb ISIS. Al Quaeda in Mali did not see a defeated or feeble nation: they flee in terror as our foreign legion liberates the people of that friendly nation. France is not on its knees. We do not lack strength. What we need now is courage. To not fear change, not be hijacked by it, but to seize it and make it our weapon to do what we want. The solutions to our problems will not come from just the left or right. This election has shown that a good idea must be respected as such, regardless of which party or candidate suggests it first. I intend to assemble a government of all France, of all talents, of all generations of the French. I campaigned in favour of free trade and free markets. But also that both must deliver their benefits first to the people. As France must change, so must Europe. I believe in Europe and its unity as a community of sovereign nations, cooperating on our shared values. But also recognizing that Brussels is the servant of the people, not the master. They work for us, not the other way. Both Brussels and the markets, like every good dog, may occasionally need a tap on the nose with a rolled up newspaper to remind them whose house it is that they live in. We must show generosity to those fleeing war whilst ensuring that we control our borders. To those who see France as a great nation of which they wish to be part of, and who wish to share our values, to you I say you are welcome. You can be a good Frenchman and a good Jew. A good Muslim. A good Christian. A good atheist. But to those who wish to come to our land and impose other values, the values of the extremist, I say to you: keep walking. This country and this continent are not for you. And let me be very clear: if the security of the borders of France and Europe require taking action, be it military or humanitarian, outside the continent, so be it. This country will not be found wanting. My fellow citizens: some recently spoke of Making France Great Again. France is great. France is strong. France is courageous. France does not fear the night. France makes the day. 20 Years Later: Ireland 2037. For the citizens of the Federal Union of Ireland, looking back from their vantage point of the year 2037, 2017 would turn out to be one of those years when a nation’s destiny pivots, even if it isn’t realized at the time. The road to Irish unification began that year, as unionism went from being the dominant ideology of Northern Ireland to merely one option on the table. The triggering of Britain’s exit from the European Union, and the realisation that the interests of Northern Ireland barely registered if at all in high places in England was another key moment. But it wasn’t just unionists who were forced to confront new realities. If unionists were left open mouthed at England’s lack of interest in them, nationalists were forced to confront the intellectual emptiness of Irish unification, and the fact that almost no thought had been given to what a united Ireland would look like. The old pub closing time declarations of running a tricolour up over Stormont and job done were rapidly revealed to be absolutely worthless. Indeed, once nationalists in both the north and the south grasped that unity meant Irishness suddenly meaning one in five Irish being monarchists with totally different view of the old enemy, it triggered as big a crisis in nationalist political circles in both Dublin and Belfast. The hard reality of Brexit, and the refusal of English voters to regard subsidising Northern Ireland as being their problem led to unionists looking south at a country that, unlike their English cousins, actually was interested in them. The negotiations were started by proxies of proxies, people who had no public association with either side, but had access to major players in Dublin and Belfast. The draft papers that emerged on the desks of the taoiseach and the first minister by circuitous route, caused a bigger panic in Dublin than Belfast, in that they weren’t a German style reintegration of the country but a South African style blueprint for a new one, with a new name, flag, anthem, constitution, official language, and a constitutional guarantee as to what proportion of the national budget would be given to the northern assembly. It was during the negotiations that Dublin realised the fundamental weakness in its argument. That it really wanted a united Ireland, whereas Belfast could only deliver unionism to an all bells and whistles deal, and both sides knew it. As Trumpism had proven, even economic hardship can be overwhelmed by a fear of “them”. The talks collapsed a number of times, but history now shows that this had been a deliberate tactic of the new young Taoiseach who recognised that the longer it took, the more time the Irish people would have to get used to the idea that what was on offer was a new and different country. Even after the new agreement was passed on both sides of the border the new country faced challenges. Within ten years, the rapidly escalating automation of the global economy delivered to Ireland the challenge of shrinking labour demand just as the country crashed through the six million population barrier. As it happened, Ireland turned out to be the perfect size for the dynamic innovation needed for a country to compete in the age of the robot. The social welfare system was replaced with a basic income, and Europe, having defeated the far right challenge that had overwhelmed both the US and the UK, recognised that tax harmonisation and access to its single market were the two weapons vital to funding that new system. The Ireland of 2037, presided over by President The Lord Paisley, remains one of the richest most free nations in the world, its population swelling with liberal refugees from the US and England. There are tensions with England, as EU countries refuse to extradite suspects who may be executed, and England is one of the more casual nations with the noose these days, as Tony Blair nearly discovered before Irish diplomats smuggled him out of the UK and to asylum in Ireland. In the Phoenix Park the finishing touches are being put on the memorial to the 237 Irish volunteers who served and died in the joint Scottish-Irish regiment of the European Defence Force liberating Poland and the Baltics from the Russians. Scotland’s entry into the EU coincided with the signing of the Edinburgh treaty between Scotland and Ireland, much to the delight of the Ulster Party in the Dail/National Assembly, both countries agreeing to fund a joint air and sea force to patrol their waters and airspace. The first shared ship, the William Wallace, is based in Cork. The Tom Crean will be based in Aberdeen. Robots are everywhere, from the permanent police drones that replaced small police stations, solar powered and hovering silently, their infrared cameras seeing all, to the automated vehicles that make up 90% of the vehicles on the road. 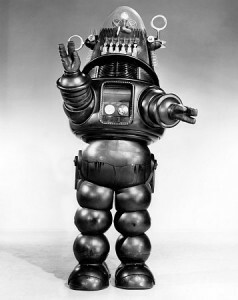 What few predicted was the new creative age the robots would unleash. Ireland is now awash with poets, artists, musicians, performers, writers, people who thought they had been left on the economic scrapheap but instead found themselves liberated. Ireland’s most recent Oscar winner, for best supporting actor, had been a Dublin Bus driver five years previously. Are our leaders ready for the future? Amidst all the nonsense and hysteria of the most recent US election, Barack Obama gave an interview to Wired magazine where he talked about the impact of driverless vehicles. On the one hand, he suggested that driver error was the single greatest cause of fatalities on US roads, and that driverless vehicles would significantly reduce that. On the other hand, he pointed out that three million Americans earned a living driving everything from trucks to school-buses to taxis. It was classic Obama. Slightly wonky, calm, measured, thoughtful. A rational discussion about future challenges and opportunities. Just wait and see how lucky we’ll all realise we were to have him as president of the United States when the next guy is sworn in. But it made me think: are Irish politicians giving any thought to the future? Given the occasional hysteria about technology, especially in the Seanad which seems to regard anything beyond a flip-phone as high-falutin’, one would have one’s doubts. I had a discussion with some work colleagues recently where I was a dismissed as a Cassandra for worrying about automation in the workplace and its effect on employment. It made me realise that you can’t blame Irish politicians for reflecting their voters’ concerns, or lack of. But don’t we pay these guys to be looking over the hill at what is coming next? Consider this: Andrew Puzder, President-Elect Trump’s nominee as Labour secretary, the man tasked with managing employment rights in the US has as a fast food CEO openly speculated about replacing his staff with automated systems. Apparently robots won’t call in sick or strike or sue him for discrimination. This is real. Next time you’re in a supermarket, look at the shifting balance between staff operating a till and the automated tills where you serve yourself. Remember when those tills were introduced for convenience? To avoid queuing behind that person in front of you who on reaching the till always seemed either startled by the concept of a paper-based money system or indeed that they had to pay at all? Now we queue to serve ourselves as the number of human servers dwindles. Remember when every bus had a conductor? Is there anyone willing to say 100% that there’ll be no automation of the Luas? Ludicrous, they will say. Sure you can’t have a driverless train given how mad Dublin drivers are. But that’s not how it will happen. What will happen is that the trains will be automated but the drivers kept initially to “supervise”, allowing the company to gradually reduce numbers by natural wastage. Then we’ll all discover that the Luas has actually been automated for years. If you have been to Disneyland or through many major airports you’ve already been on an automated train. The question for Irish (and every other western) society is how do we deal with the employment implications? Automation will push down labour costs as more people accept less wages for fewer jobs, until automation gets even cheaper. But in many instances jobs will be actually destroyed. The old argument about creative destruction still holds to a certain degree. Many former blacksmiths ended up building the cars that destroyed their old trades. But now those jobs are being replaced by robots in car factories. Some of the old car workers may well become engineers who design or build the robots, until robots start building and designing themselves. But at every stage the sheer volume of people needed to upskill to the next level gets less and less. That’s the point: it’s cheaper to make do with fewer but more highly skilled people. That’s the challenge: not everybody can be a software engineer, and what do we do when the jobs beneath simply don’t exist in the same numbers? When a supermarket late shift has maybe two or three very modestly paid teenagers supervising 30 robots repacking shelves? There will of course be jobs that humans might be better at, such as senior care which we know will be a growth industry given western demographics, but lower paid repetitive jobs are ripe for technological obliteration. There may not be, quite simply, enough decent paying jobs to go around. If the Dail is not thinking about this, then who is? Who should be planning for a future where labour exceeds demand, and where many of those with even with jobs barely exist on low wages? Is a universal basic income the answer? Is technology restriction? Is an expansion of public sector employment? Should we bring back jobs like bus conductors not because it will make buses more efficient, but to simply give people the dignity of work? Will we pay people to actually be artists and playwrights? How will we pay for it all? We often look upon Ireland as a permanent victim nation, constantly battered by the decisions of greater nations or global forces. But we also have an advantage we rarely speak of: as a small nation we can change direction fast. From eradicating tuberculosis to switching to the euro, this country can do something fast if it wants to. But we have to have the vision. How do we start? Perhaps it’s time for some of the younger members of the Oireachtas to put together an Oireachtas committee on the future, with a clear brief to bring in those looking at the problems of the future, from technology to senior care to employment to pensions. Let’s at least begin the debate.